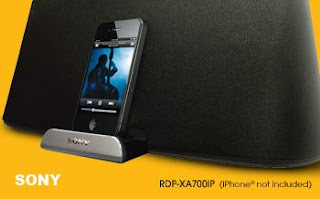 Sony Online Store is now giving away with $100 OFF on Sony Dock for iPad, iPhone and iPod. The Sony speaker dock allows you to stream music wirelessly and enjoy incredible details of sounds and music. Document Comparison just got easier for Microsoft Office users! Save 10%! The originally retail price was $399.99, but you may now purchase this Dock at the price of $299.99. However, it is now temporarily out of stock, and you may need to keep checking Sony Web-store to see that when will be the next batch of stock available. Besides of Wireless Streaming Speaker Docks, you may also grab other promotion on 4 driver in-ear headphones. The promotion period will be ending on this coming 22 September 2012.